One of every three bridges on the nearly 48,000-mile Interstate Highway System is in need of repair work, a total of 17,726 spans, according to ARTBA’s latest analysis of the U.S. Department of Transportation’s 2017 National Bridge Inventory database. That’s the equivalent of a system-wide average of one bridge every 27 miles, or less than 30 minutes of travel time at 60 mph. Nearly 1,800 of those bridges are classified as structurally deficient and crossed an average of 60 million times a day. With three quarters of the nation’s heavy truck traffic moving on the Interstates, that puts the U.S. economy at risk. The Intestate bridges are part of the larger infrastructure problem. ARTBA’s analysis shows that 54,259 of the nation’s bridges are rated structurally deficient. Cars, trucks and school buses cross these compromised structures 175 million times every day. 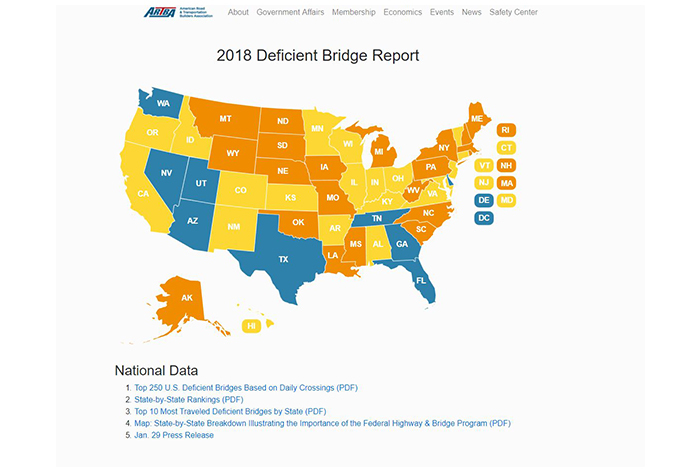 The pace of improving the nation’s inventory of structurally deficient bridges slowed this past year, down two-tenths of a percent from the number reported in the government’s 2016 data. At the current rate of repair or replacement, it would take 37 years to remedy all of them, Black calculated. 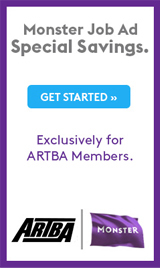 State- and congressional district-specific information from the analysis—including rankings and the locations of the 250 most heavily travelled structurally deficient bridges in the nation and top 25 most heavily traveled in each state—is available at www.artbabridgereport.org.